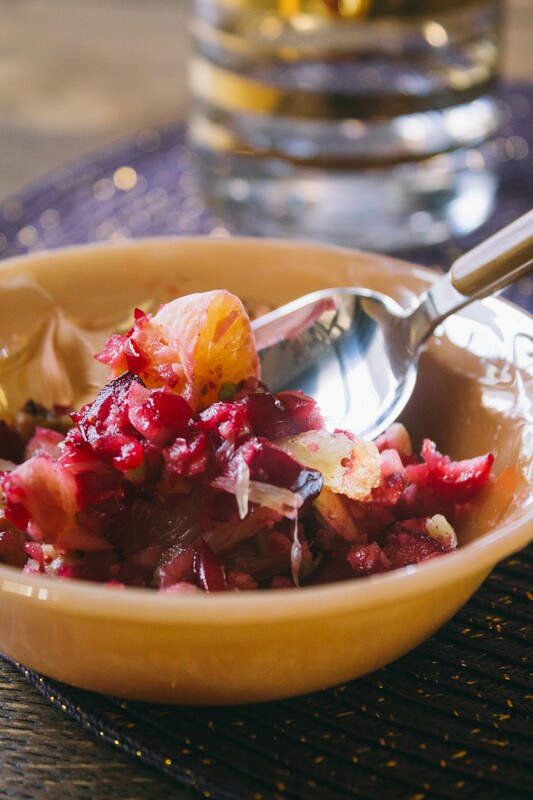 Three cheers for the tart and tangy cranberries in this delicious, 1-Bowl Raw Cranberry Fruit Salad! It’s a no-cook, make-ahead side dish that travels exceptionally well! 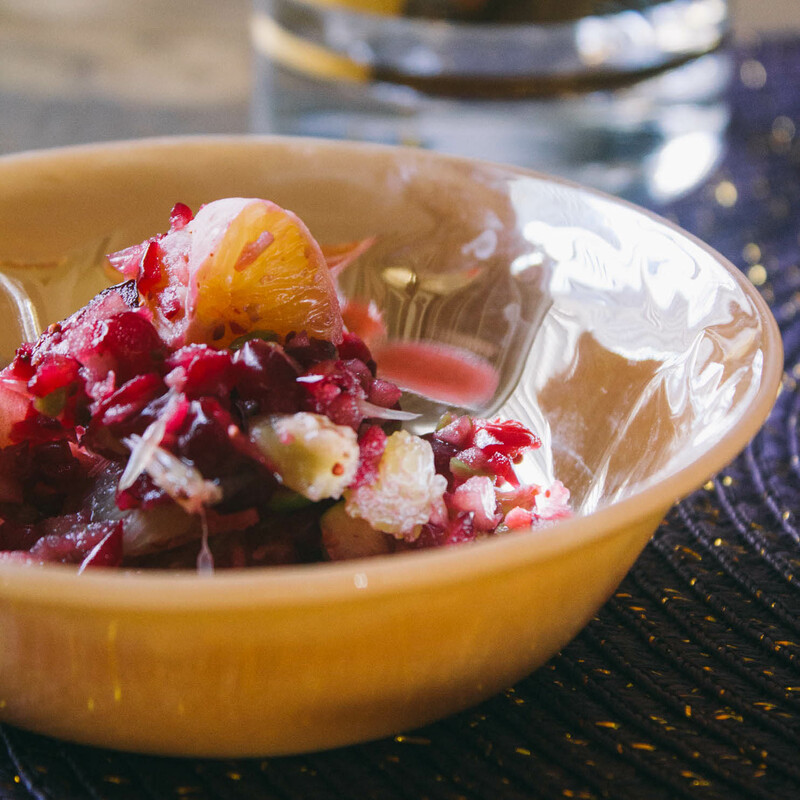 1-Bowl Raw Cranberry Fruit Salad is mouth-watering-ly-good. And I believe that after tasting it, you’ll never willingly serve cranberry sauce from a can again! Ever since a dear friend shared her version of this salad, I’ve gratefully avoided serving boring old canned sauce. When you double this recipe, you’ll get to indulge in plenty of nutty cranberry goodness well beyond the dinner table. For example: try stirring it into coconut yogurt or as a gorgeous tangy topping for banana ‘nice’ cream. This dish is as versatile as it is tasty and it keeps well when jarred and stored in the fridge. Mmm, my mouth is watering as I write! By the way, my berry gobbling family and I quickly plow our way through bag after bag of tangy, nutritious, cranberries. For that reason, when cranberries are in season, I intentionally purchase extra bags. And since cranberries freeze well, you can store them for months in the freezer. When it comes to stocking up and being prepared, I’m a bit of a nerdy, nut stashing squirrel and girl scout combo. Pure Maple Syrup, Raw Agave, Coconut Sugar and Maple Sugar: What’s the Difference? While finalizing this recipe for you, I experimented with a variety of sweeteners. Those practice batches led to a winning combination of maple sugar or coconut sugar and maple syrup or raw agave nectar. I did not get the chance to try using dates to sweeten this dish. I think that’s likely a winning flavor option too, though the dates may impact and darken the colors of the fruit. The health benefits of maple syrup include potentially giving you a healthier heart. Maple syrup contains zinc and its consumption may protect and prevent various cardiovascular disorders. Raw agave nectar and coconut sugar sweeten while tallying up fewer empty carbs than highly refined, granulated white sugars. Coconut sugar provides two times more iron and zinc than granulated white sugar. Maple sugar is exceptionally versatile, and you can end up using less of it to accomplish the same sweetness. For example, substitute 1 cup of white sugar with 2/3 cup of maple sugar. And maple sugar retains many of the nutrients, antioxidants, minerals, and vitamins such as magnesium, zinc, and calcium. And although raw agave nectar is minutely refined, it is also surprisingly low in glucose which is especially important for those managing diabetes. Overall, lower levels of glucose mean it doesn’t create a rapid spike in blood sugar levels. Since agave is about 1.5 times sweeter than traditional granulated sugar, you can use less of it, just like maple sugar. And as the bright and beautiful Michelle Obama’s food labeling mission hopefully taught us, less is best when it comes to any added sugar. But enough of this sweet talk. Heh, heh, heh. 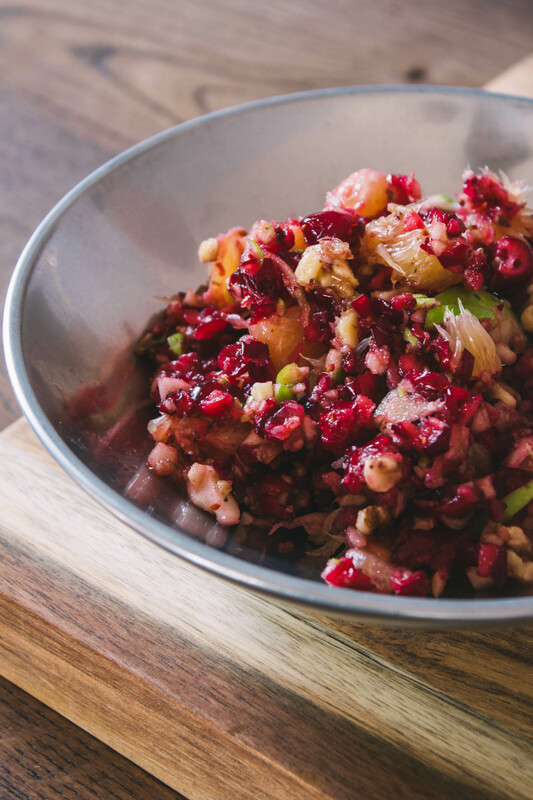 Another reason this 1-Bowl Raw Cranberry Fruit Salad is top-shelf gold is that it makes such fabulous use of seasonal produce. Its crunchy walnuts and chunks of sweet apple balance out the tartness of the cranberries perfectly. And the tender nuggets of liquid-gushing orange lend a welcomed bit of refreshing juicy citrus that’s so darn tasty! And with its colorful presentation, you will undoubtedly appreciate how this eye-catching, purple-y-red, salad effortlessly adorns your plate. After all, we human types seriously seem to enjoy eating food that’s pretty! 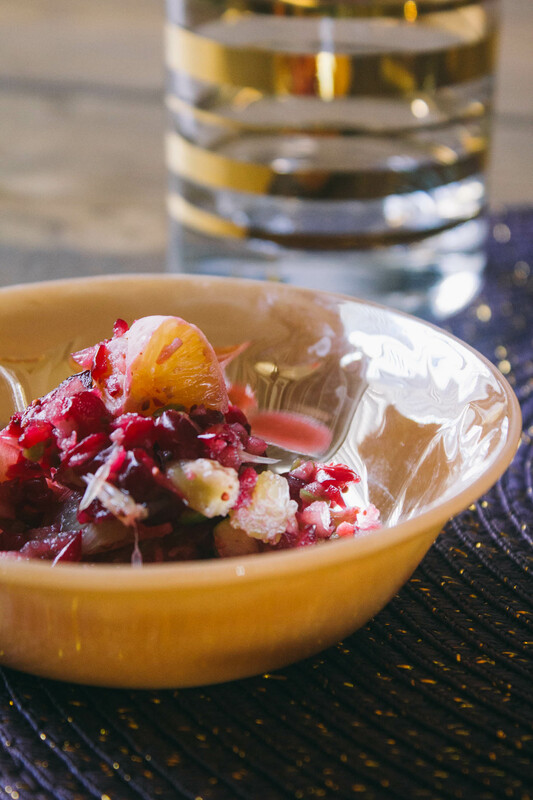 To put it in a nutshell, 1-Bowl Raw Cranberry Fruit Salad tastes tangy, sweet, earthy, and satisfyingly crunchy. And to make this dish even more enjoyable, it’s all of those things while being, off the charts, healthy! It will taste terrific spread onto your morning toast or stuffed inside a warm, fluffy, biscuit. And to take this delight into happy hour, this salad is fantastic alongside a wholesome nut-based cheese. We recommend making this spreadable cheesy delight to enjoy with this dish and a favorite glass of wine, or two. Oh, my! What can’t this salad do? I’d better make some MORE! And as mentioned earlier, let’s hear it for the cranberry. Full of immunity-boosting Vitamin C, 1-Bowl Raw Cranberry Fruit Salad tastes as dazzling as it looks! And as a win-win bonus, even time will be on your side with this make-ahead side dish! 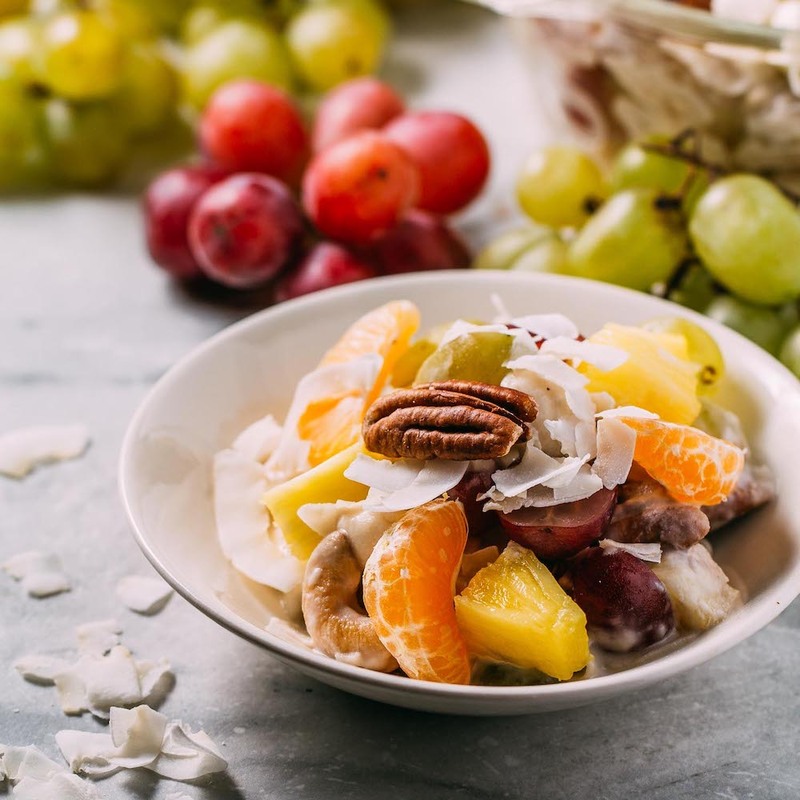 The taste buds of all who eat this will thank you for this naturally nutritious and delicious combo of fresh seasonal fruit and satisfyingly crunchy nuts! One of my absolute favorite ways to enjoy this raw dish is by serving it with my tasty vegan and Gluten-Free Cornbread Muffins. I promise you that this combo makes for one memorable taste sensation! And once you’ve experienced this delightful one-bowl wonder, you’ll want to try more of my cranberry creations. For a delicious berry treat you can sip, try tossing some frosty frozen cranberries into this energizing blend and make yourself a pretty pink smoothie. First, roughly chop the walnuts and place them in a mixing bowl that's large enough to mix and hold the entire completed salad. For the chopping required to complete this recipe, I prefer using a food processor. Peel, section and chop the oranges and place in the bowl with the chopped nuts. Next, rinse, drain and roughly chop the cranberries. Now, core and dice the apples. Roughly dice the apples by hand or lightly chop them using a food processor. Since the bits of skin add color to the dish, don't peel the apples. Whenever I can find them, I use a combination of organic Granny Smith and Golden Delicious Apples so that bits of yellow and green brighten the salad. 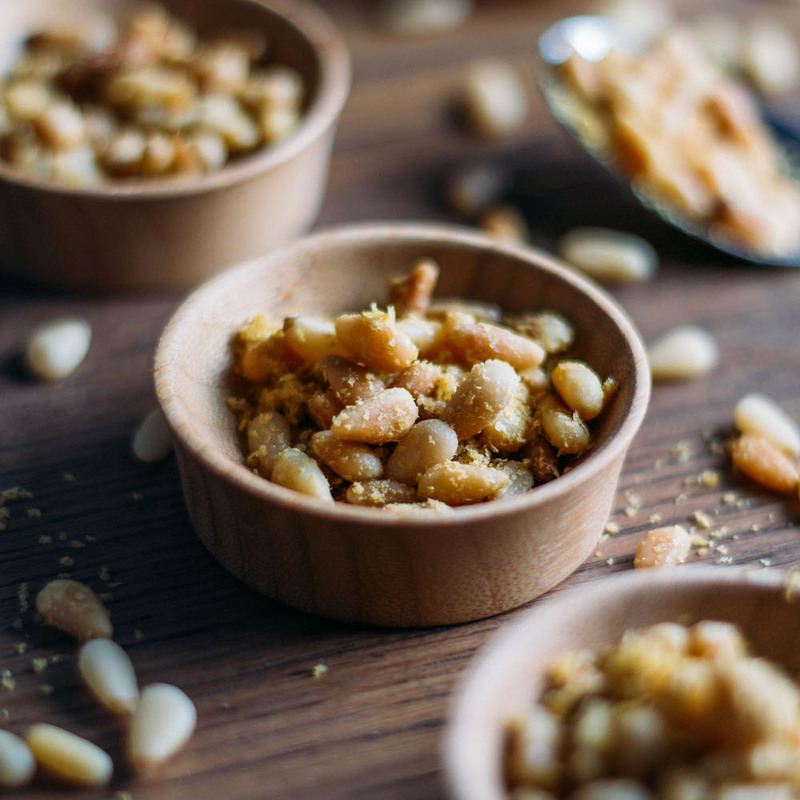 Finally, sprinkle the chopped fruits and nuts with the pure maple syrup or agave nectar and maple sugar or coconut sugar, stirring gently to coat. I suggest adding whichever sweeteners you use a little at a time and taste as you go. Less is best when it comes to any added sweetener. By this time your bowl should be filled with dazzling color and juices as the ingredients come together. 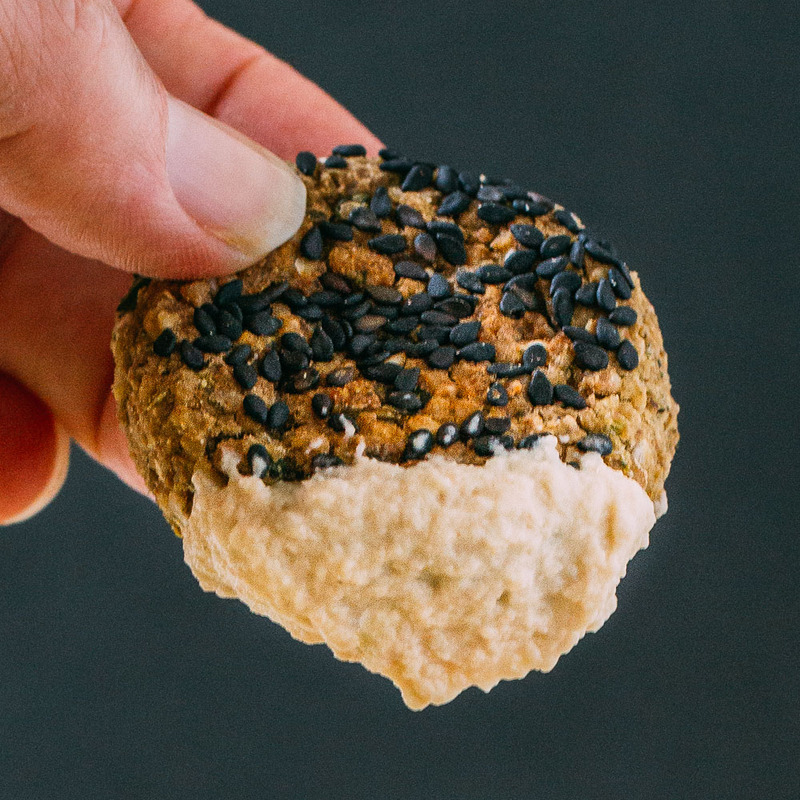 If you can't wait to enjoy this salad, by all means, scoop out a bit into a dish and enjoy of sample bite of the excellent raw, vegan and naturally gluten-free treat you've just created! 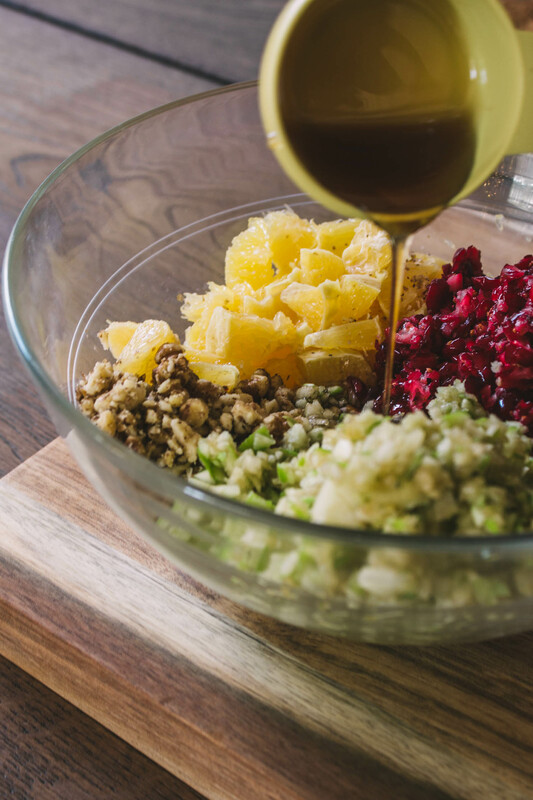 While this salad can be most definitely be enjoyed right away, waiting just a bit allows an irresistibly sweet syrup to develop from the harmonious marriage of coconut sugar, agave nectar, and fruit juice. Last but not least, cover and chill this lovely bowl of goodness in the refrigerator for about a half hour or so before serving. This delightful side dish of 1 -Bowl Raw Cranberry Fruit Salad can be made ahead and stored in the refrigerator for days before serving. To me, preparing ahead of time means more enjoyable events and mealtimes for the host! While creating this recipe, I was able to significantly reduce the amount of sugar typically used in this traditional side dish. But by all means, feel free to experiment and reduce the quantities of maple syrup, or agave and maple sugar or coconut sugar even further. It's important to taste as you go and adjust the sweetness to suit your taste or dietary requirements. You could also opt to use only one of the sweeteners if you like. And remember, less is best when it comes to adding any sweetener to your food or drinks. The nutrition label below reflects the use of maple sugar and pure maple syrup. Nutrients will vary based on what amount and type of sweetener you choose.